Eight species of cottontail rabbits live in the United States. Although they are cute creatures with long ears and puffy white tails, they are a popular game animal. Hunters are only half the battle for rabbits. Natural predators such as foxes, coyotes, snakes and wolves find them delectable and easy to catch. Being so low on the food chain makes effective nest building even more important. Most cottontail rabbits do not survive the first year of life. 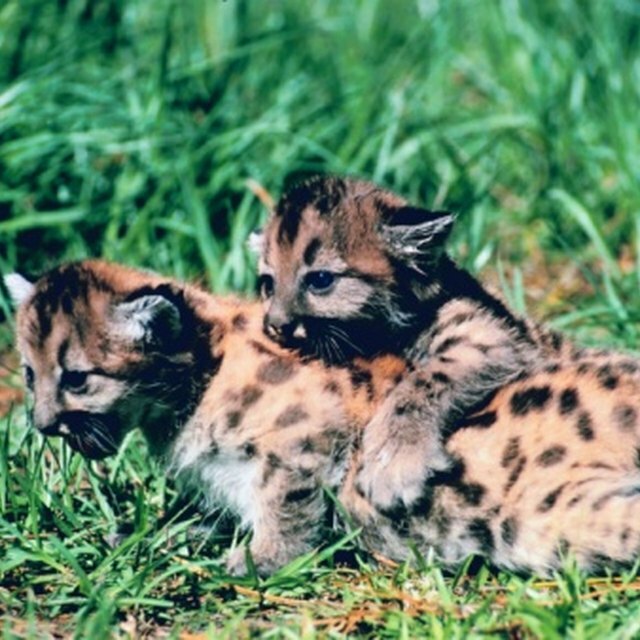 They fall prey to animals, hunters, disease and injury. In species with high mortality rates, frequent reproduction is vital to the species survival. Mating pairs can produce nearly 40 rabbits a year. It is up to the doe to build the nests and feed the young. With an average litter size of five bunnies, nest building requires significant planning, building and maintaining. During the final days of gestation, the doe begins to look for nest building sites. Nests are dug into the ground. They take on a cup-shaped appearance. Unlike the long underground holes rabbits dig to escape predators, the nests are dug independently and are much shallower. They do not connect directly to other underground rabbit trails. Often dug under brush or grassy areas, the nests are cleverly disguised and well hidden. 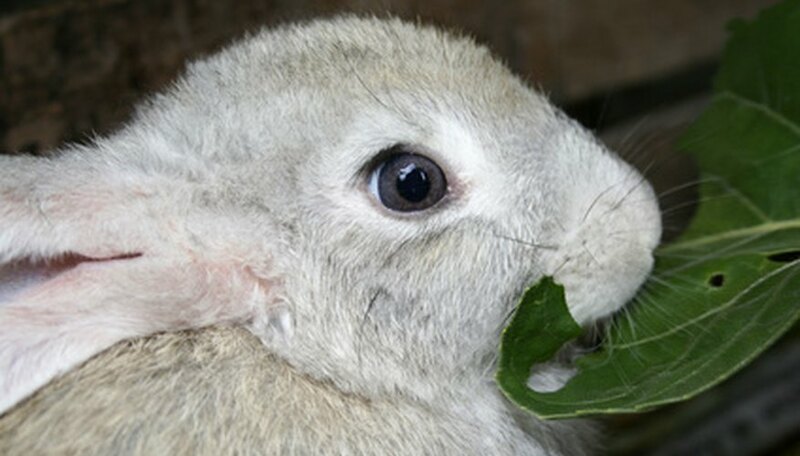 The female rabbit spends days gathering vegetation to spread across the bottom of the nest. The vegetation serves as a decoy for the nest, making it difficult for predators to see. Soft grasses and rough shrubs typically serve as the nest’s foundation. Any type of ground covering will do including wildflowers or prickly thorns. Bunnies are born without fur, which makes the warmth of the nest critical. During the final stages of nest building, the doe will use its own fur as nest lining. It plucks fur from all parts of its body, except the abdomen and uses the fur throughout the nest. According to David A. Casteel, author of "Nest Building…in the Cottontail Rabbit," there is no correlation between the size of the nest and the size of the litter. Nests are built similarly during every pregnancy; the doe has no way of knowing how much vegetation or fur it will need so it builds a nest large enough for many offspring. Since the mating pair do not stay together, the female is solely responsible for taking care of the young as well as providing for its own nutritional needs. The nest is covered with grass while the rabbit goes in search of food. Only during times of nursing is the doe in the nest. During the night it sleeps in tunnels near the nest to keep watch over its young. The nest is used for about two weeks until the bunnies are able to survive on their own and leave the nest. Vaughan, Jennifer. "How Do Cottontail Rabbits Build a Nest for Giving Birth?" Sciencing, https://sciencing.com/do-build-nest-giving-birth-6117428.html. 24 April 2017.